The Chamber of Starlight is one of the tougher Lost Sectors to find within Destiny 2. In this Destiny 2 Chamber of Starlight guide, we’ll be doing exactly that, walking you through to the final location of the Lost Sector, so you can complete a Bounty for Petra Venj in the Dreaming City. If you need anything else to do with Bungie’s FPS sequel, you can always head over to our Destiny 2 DLC guide. Here we’ve outlined all upcoming expansions and events for the game, including the brand new Season of the Forge. Firstly, you’ll need to have access to the Dreaming City if you want to begin undertaking Bounties from Petra Venj. 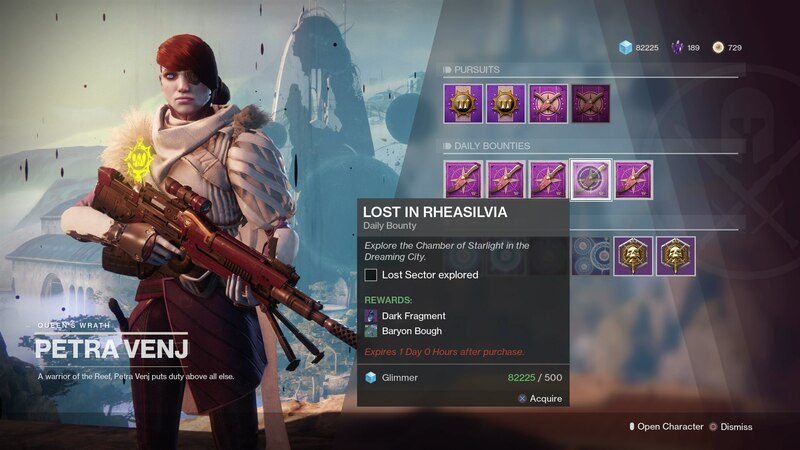 Once you’ve unlocked the endgame locations and approached Venj, she’ll provide you with the ‘Lost in Rheasilvia’ Bounty, which tasks you to find and loot a particular Lost Sector. This one Lost Sector is, of course, the Chamber of Starlight. 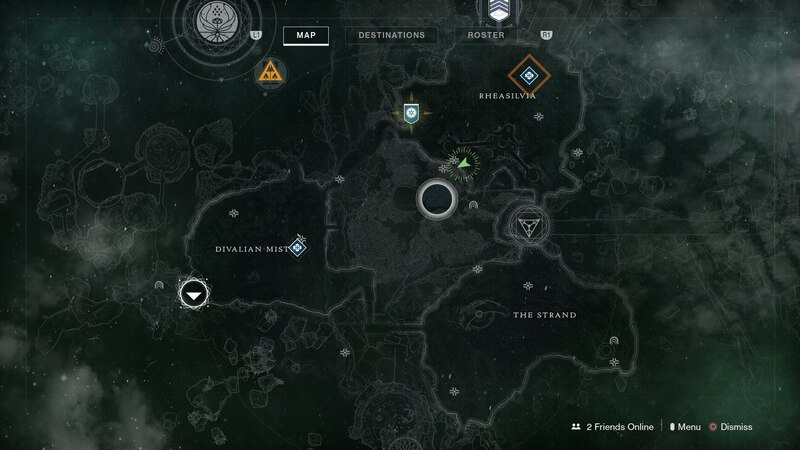 To track down the Lost Sector in Destiny 2, you’re firstly going to need to head to the Rheasilvia region of the Dreaming City, which forms the northeastern section of the overall region. You now need to navigate your way to the southwestern corner of the Rheasilvia region. It's here that you can find the entrance to the Chamber of Starlight, within a small canyon. Keep in mind that you’ll want to venture into this Lost Sector with caution, as the enemies here are at a power level of roughly 560. But, once you have looted the Chamber of Starlight, Petra Venj will reward you with a Dark Fragment, and some Baryon Bough. That’s it for our guide on how to track down the Chamber of Starlight Lost Sector in Destiny 2, but there’s plenty more Lost Sectors guides here at USgamer. You can head over to our Destiny 2 Pit Lost Sector guide, or our Destiny 2 Drain Lost Sector guide for more.